Kaveh is taking on a huge challenge for Cancer Research UK, not only running both the Paris and London Marathons within days of each other, but also running the 300 miles between! 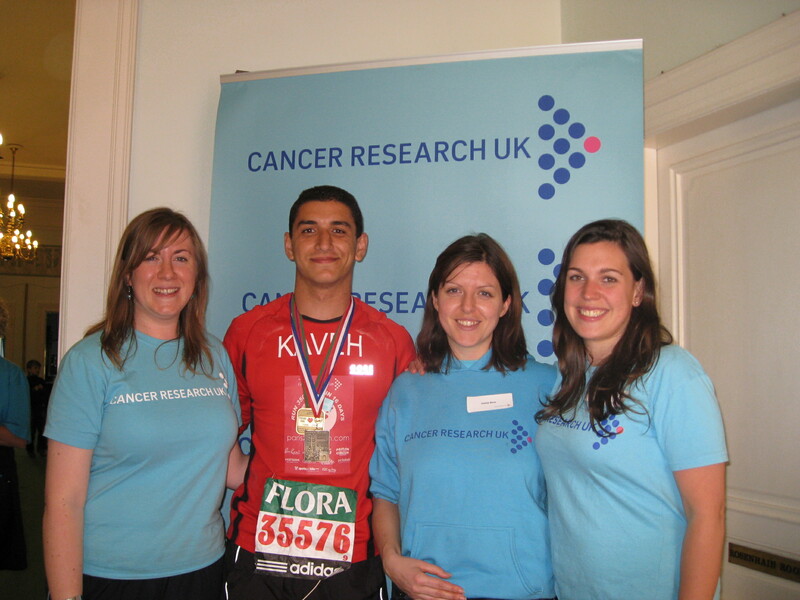 Cancer Research UK is very privileged to be the chosen charity and we would like to say a huge thank you to Kaveh for his dedication and hard work in helping us to achieve our vision to beat cancer. We would like to wish him the best of luck with this challenge, and look forward to supporting him along the way. Cancer Research UK is the world’s leading independent organisation dedicated to cancer research. We support research into all aspects of cancer through the work of more than 4,500 scientists, doctors and nurses. Over the past 10 years, thousands of lives have been saved through earlier detection and improved treatments. However, much work remains to be done if we are to achieve our aim of beating cancer.